77 Contoh Judul Skripsi Pendidikan Bahasa Inggris Terbaru & Terlengkap - Pendidikan merupakan suatu kegiatan yang di dalamnya terdapat suatu kumpulan anak-anak atau penerus bangsa untuk menimba ilmu. Fungsi pendidikan dilakukan oleh seorang penerus bangsa akan melewati jenjang-jenjang yang sudah ditentukan, misalnya saja pada jenjang SD ia akan melewati masanya selama 6 tahun dari kelas 1 s/d 6, SMP 3 tahun, begitun SMA 3 tahun. Pada saat-saat tahun terakhir menempuh pendidikan ada yang dinamakan dengan Ujian Nasional. Melalui Pendidikan di Indonesia, Ujian Nasional/UN adalah masa dimana seorang siswa diminta untuk melaksanakan tahap tugas akhir mereka dalam menempuh pendidikan. Setelah melewati jenjang SD, SMP, dan SMA, maka mereka akan menjalani jenjang kuliah. 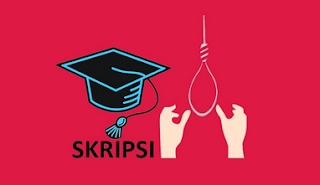 Sama saja dengan SD, SMP, dan SMA, pada jenjang ini juga mahasiswa memiliki tugas akhir yaitu Skripsi. Apa itu skripsi dan bagaimana cara membuatnya? Semua itu berasal dari awal judul yang bagus tentunya. Skripsi atau tugas akhir merupakan suatu tugas yang harus dilewati atau dibuat oleh semua mahasiswa yang telah memasuki tahap akhir dalam perkuliahan. Untuk mengerjakan atau membuat skripsi tidaklah gampang, ia harus membuatnya dengan hasil dari penelitiannya sendiri. Skripsi adalah istilah yang digunakan di Indonesia untuk mengilustrasikan suatu karya tulis ilmiah berupa paparan tulisan dengan Tujuan skripsi melalui hasil penelitian sarjana S1 (Skripsi Mahasiswa) yang membahas suatu permasalahan/fenomena dalam bidang ilmu tertentu dengan menggunakan kaidah-kaidah yang berlaku. Jangankan membuat isinya, membuat judulnya pun harus benar-benar sesuai dengan masalah yang akan kita ungkap (efektif dan realistis). Maka dari itu, banyak dari mahasiswa menganggap bahwa membuat skripsi haruslah memiliki jiwa dan rohani yang kuat. Sehubungan dengan itu, maka disini saya akan memberikan 77 contoh judul skripsi pendidikan bahasa Inggris terbaru dan terlengkap. 1. Increasing The Students' Reading Comprehension Achievement Through Schema Activation Strategy At The Tenth Grade of (NAMA SEKOLAH) In The Academic Year of 2018/2019. 2. Improving Speaking Ability By Using Sing A Song Justin Bieber Strategy At (NAMA SEKOLAH) The Academic Year of 2018/2019. 3. The Use of Movie Subtitle To Improve Students' Speaking Ability At (NAMA SEKOLAH) In The Academic Year of 2018/2019. 4. Increasing Vocabulary Mastery Through Mobile Legend Strategy At (NAMA SEKOLAH) In The Academic Year of 2018/2019. 5.Improving The Students' Reading Comprehension By Using The Big Book At The Eighth Grade of (NAMA SEKOLAH) In the Academic Year of 2018/2019. 6. Improving The Students' Speaking Performance By Using Picture Series Among The Seventh Grade (NAMA SEKOLAH). 7. Improving The Students Speaking Performance Through Story Completion Strategy At The (NAMA SEKOLAH) In the Academic Year 2018/2019. 8. Improving The Students' Reading Comprehension Ability By Using The Sing A Song At The Eighth Graders of (NAMA SEKOLAH). 9. Improving The Students' Reading Comprehension By Using Circ Technique At The Eighth Grade of (NAMA SEKOLAH) In Academic Year of 2018/2019. 10. Increasing The Reading Comprehension Abilities By Using Numbered Heads Together (NHT) Technique At The Tenth Graders of (NAMA SEKOLAH). 11. An Analysis of The Students' Mastery In Analyzing Clausa and Phrase of The English Students(NAMA UNIVERSITAS). 12. Increasing The Students' Simple Past Tense Mastery Through Grammar Racing Game At The Eighth Grades of (NAMA SEKOLAH). 13. Improving The Students' Speaking Skill Through Sociodrama At The Eighth Grade of (NAMA SEKOLAH) In Academic Years of 2018/2019. 14. The Implementation of Small Group Discussion To Increase Students' Reading Comprehension In the Eighth Grades of (NAMA SEKOLAH). 15. The Correlation Between Students' Interest In English Subject and Writing Skill At The Eleventh Graders of (NAMA SEKOLAH) In The Academic Year of 2018/2019. 16. Improving Students' Listening Skill By Using Cartoon Movie At The Tenth Graders of (NAMA SEKOLAH). 18. The Influence Of Using Short Story Toward Students Speaking Performance At Fifth (NAMA SEKOLAH). 19. Increasing The Students Writing Skill of Narrative Text Through Think Pair Share At The Tenth Graders of (NAMA SEKOLAH). 20. The Use of Students Team Achievement Division Strategy To Increasing Students' Reading Comprehension Ability At The Eleventh (NAMA SEKOLAH). 21. Increasing The Narrative Text Writing Skill By Using Picture Sequence Media At The Tenth Graders (NAMA SEKOLAH) In Academic Year of 2018/2019. 22. Using Film Animation To Increase Listening Skill The Eleventh Grade of Senior High School (NAMA SEKOLAH) In Academic Year of 2018/2019. 23. The Influence Students Teams-Achievement Division Strategy On The Students' Mastery of The Simple Future At The Junior High School (NAMA SEKOLAH). 24. Increasing The Descriptive Text Reading Skill By Using Picture Sequence Media At The Tenth Grade of (NAMA SEKOLAH). 25. An Analysis On The Students' Reading Comprehension Mastery In making Inference. 26. Improving Recount Text Writing Performance Through Circle of Learning Method At The Ninth Graders of (NAMA SEKOLAH) In Academic Year of 2018/2019. 27. The Use Serial Pictures To Improve The Students' Performance In Writing Narrative Paragraph At The Eighth Grades of (NAMA SEKOLAH). 28. An Analysis of Lexical Cohesion On The Students Writing Text of (NAMA Universitas). 29. Improving The Students Reading Skill Through Neurological Impress Method (NIM) At Eighth In (NAMA SEKOLAH). 30. Increasing Reading Comprehension Ability By Using Reciprocal Teaching Strategy At The Eighth Graders of (NAMA SEKOLAH) In Academic Year 2018/2019. 31. Improving The Students' Reading Comprehension Ability By Using Story Pyramid Strategy At The Tenth Grade of (NAMA SEKOLAH). 32. Increasing Vocabulary Mastery By Using Guessing Game Strategy At The Tenth Graders of (NAMA SEKOLAH). 33. The Influence of Using Concept Mapping Strategy On Students' Grammatical Cohesion In Essay Writing At The Eleventh Grade (NAMA SEKOLAH). 34. Increasing The Students' Writing Ability Through The Use of ESA Method At The Eighth of (NAMA SEKOLAH). 35. The Influence of Using Silent Reading Strategy Toward The Students' Reading Comprehension At (NAMA SEKOLAH) In Academic Year of 2018/2019. 36. An Analysis of Reading Difficulties In Children At (NAMA SEKOLAH). 37. An Analysis of English Metaphor Translation Found In O.Henry The Gift of The Magi. 39. An Analysis On Student's Grammatical Error In Writing Descriptive Paragraph In The Eight Grade On (NAMA SEKOLAH) In The Academic Year 2018/2019. 40. The Implementation Cooperative Language Learning To Improve Students' Speaking Skill At (NAMA SEKOLAH). 41. Using Role Play Strategy To Improve The Students' Pronunciation Skill At The Eighth Grade of (NAMA SEKOLAH). 42. Using CUE Card To Increase The Students Speaking Ability At The Seventh Grade Students In (NAMA SEKOLAH). 44. The Use of Peer Assisted Learning Technique (PALT) To Improve Reading Comprehension Ability At The Eleventh Graders of (NAMA SEKOLAH). 45. Increasing Reading Comprehension Abilities Through Extensive Reading Strategy In The Eleventh Graders of (NAMA SEKOLAH) In The Academic Year of 2018/2019. 46. An Analysis of Clasroom Mnaggement In Learing Speaking Class At The Eleventh Grader of (NAMA SEKOLAH) In The Academic Year of 2018/2019. 47. Increasing The Students' Speaking Ability Through Role Play Strategy At The Eighth Grade of (NAMA SEKOLAH). 49. An Error Analysis On Borrowing In The Indonesian Translation Among The Sixth Semester Students At The English Education Program of (Nama Universitas). 50. Increasing The Narrative Paragraph Writing Skill Through Brainstorming Strategy In (NAMA SEKOLAH). 51. Increasing The Students' Simple Past Tense Performance Through Folclore Stroies Among The Tenth Grade of (NAMA SEKOLAH). 52. A Comparative Studi of Two Instructional Strategy In Teaching Reading Comprehension of Informal Text. 53. The Influence of Using Talking Stick Method Toward The Students' Speaking Ability At (NAMA SEKOLAH). 54. The Use of Snowball Throwing Method In Teaching Students' Speaking Ability. 55. Using Mind Mapping Technique To Increase The Students' Simple Sentence Mastery. 56. An Analysis of Discourse Markers In Writing Argumentative Text At The Sixth Semester of (NAMA Universitas) In The Academic Year of 2018/2019. 57. The Use Oral Reading Strategy To Increase The Pronunciation Skill At The Eighth Graders of (NAMA SEKOLAH) In The Academic Yea of 2018/2019. 59. Increasing Students' Speaking Performance By Using Contextual Teaching and Learning At The Sixth Grade of (NAMA SEKOLAH). 60. Increase The Students Speaking Ability Through Speech Method At The Eleventh Grade of (NAMA SEKOLAH). 61. A Study On Difficulties of Toefl Reading Comprehension At (NAMA UNIVERSITAS). 62. The Implementation of Suggestopedia Method The Increase The Student's Speaking Ability At (NAMA SEKOLAH). 63. The Use The Mind Mapping Technique To Increase Writing Ability Among (NAMA SEKOLAH). 64. Incorporating Islamic Values Into The Subjects In Indonesia Elementary School: The Case of English In (NAMA SEKOLAH). 65. A Study On Effect of Multilingual Repertoire On Speaking In Three Universities of (NAMA TEMPAT UNIVERSITAS). 66. Increasing The Students' Reading Comprehension Achievement Questioning Technique At The Eighth Grade (NAMA SEKOLAH) In Academic of Year 2018/2019. 67. Increasing The Students Listening Skills Through Partial Dictation Seventh Graders of (NAMA SEKOLAH). 68. Correlation Between Speed Reading and Reading Comprehension At (NAMA SEKOLAH). 69. An Analysis On The Difficulties In Finding Reading Text of The Main Idea of The Third Semester of (NAMA UNIVERSITAS). 70. The Influence of Using Podcast As Media At The Second Semester of English Education Study Program As (NAMA UNIVERSITAS). 71. The Correlation Between Students' Modal Auxiliary Mastery and Their Ability In Writing Hortatory Exposition Text At The Eleventh Grades of (NAMA SEKOLAH). 72. The Use Story Mapping-Mapping Technique To Increase The Short Story Writing Skills Among The Eleventh Grade Students' of (NAMA SEKOLAH). 73. The Influence of Using Popular Songs On The Students' Present Perfect Tense Mastery At The (NAMA SEKOLAH). 74. An Analysis of Subject-Verb Agreement Error On The Students' Descriptive Text Writing At The Third Semester of English Education Departement of (NAMA SEKOLAH). 75. An Analysis of The Students' Perfection On The Use of Grammar Translation Method (GTM) In English Learning. 76. Teaching Speaking Skill Through Debate Technique At (NAMA SEKOLAH). 77. Using Icebreaker Technique To Increase The Students' English Learning Motivation At (NAMA SEKOLAH).